Yogi Peter – "A good traveler has no fixed plans, and is not intent on arriving." Peter Brother is an adventurer. From 2011-2013, he traveled for 20 months primarily by bicycle through the Americas from North to south. 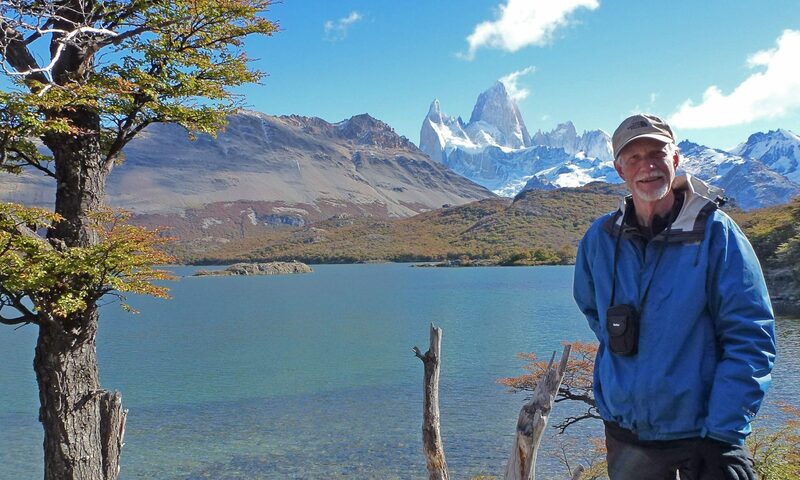 He started in Whitehorse, Yukon, Canada and finished in Ushuaia, Tierra del Fuego, Argentina. While in Peru he turned 70 years young. In 2015 he embarked on another epic bike tour around the World in 7 months that took him to Portugal, Spain, France, Italy, Greece, Taiwan and New Zealand. 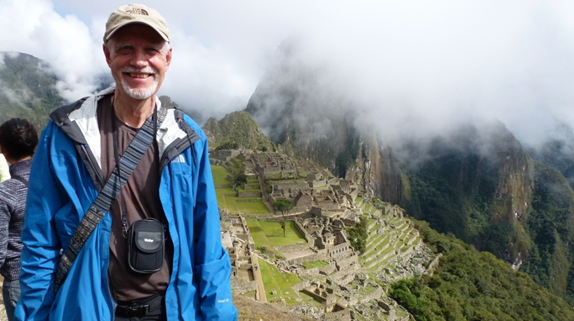 Other adventures include a 10 week bicycle tour of Europe (his first) in 1977, Hiking the Bruce Trail in Ontario Canada and 35 years of hiking in the High Peaks region of the Adirondack mountains, upper New York State. Peter has been practicing yoga and meditation for over 30 years. From his interest in yoga he has travelled to India twice for retreat and teacher training and has been teaching yoga and meditation for 16 years. He hopes that his adventures and zest for life inspire others (especially seniors) to follow their dreams and to live life to the fullest. Peter sees yoga as a way to practice mindfulness or awareness. These simple practices allow us to come back to the body and the breath – to integrate mind and body. Yoga balances the nervous system, the right and left brain, allowing us to reconnect with the source of who we are. The purpose of the practice is for us to become more aware of everything in our lives. Awareness allows us to experience life fully, to embrace life. It is an approach that goes against the grain of our prevailing culture because it includes embracing our discontent, our anguish and pain as well as our pleasures and joys. Through awareness we are present to the gift of the present moment.